Why was no one watching the Olympic hammer throw, javelin and discus? Remote control MINI Coopers. If you watched the field sports at the Olympics, then it’s possible that you were distracted a bit by the slick miniature remote controlled MINI Coopers made by BMW for the games. These little RC cars zipped back and forth carrying javelins, hammers, discuses and shot from the field to the firing line. BMW bought MINI back in 1994, when it was still a part of the Rover Group, it launched the new standard MINI in 2001 when it sold off the Rover part of that acquisition and it has become nearly as iconic as the originals were. 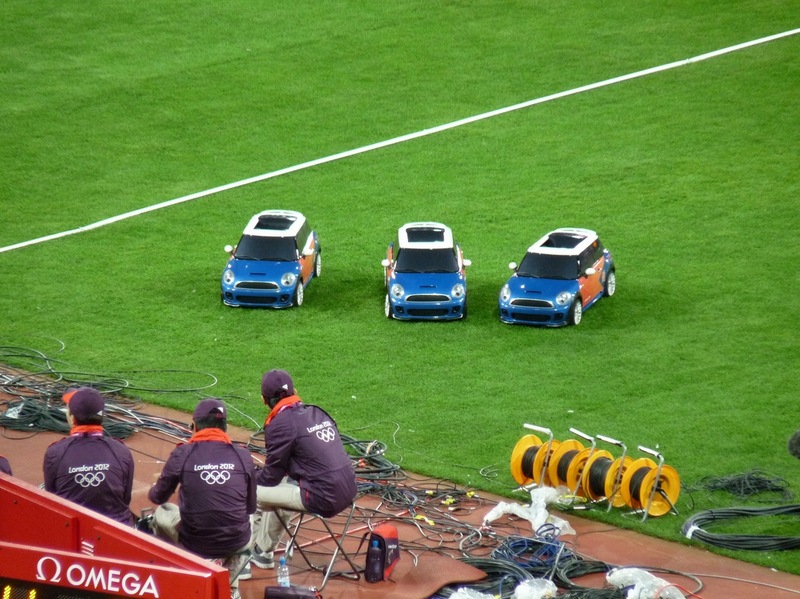 BMW was given the chance to build some electronic vehicles for the games and they chose to do MINIs at 1/4 scale, with a sunroof opening that could be used to house the various paraphernalia used in the field sports. They cover around 6k meters a day in 4-hour shifts. They had to be designed to carry up to 20lb loads, including a single hammer, discus or shot or two javelins. They’re operated by a remote control that’s simple enough that anyone can use it and they have batteries that will power them for up to 35 minutes. The radio range is 100 minutes and they recharge in 80 minutes. There’s plenty of footage of the cars at the olympics. So much, in fact, that it feels like no one in the stands at the games themselves were doing anything but watching them drive back and forth.